Hire our Hoverboards for a memorable Hoverboard Disco or Hoverboard Skills Challenge party! Wow - these are fun! Hover boards have a lot of names - swegways, mini isegways and self balancing boards as well as a variety of brand names - but what the best ones have in common is that they are intuitive and responsive to ride and, with just a little practice, you will find yourself whizzing around the twists and turns of our monster racetrack - and performing great tricks and stunts shortly after that! What we really love about them is that they give a great core strength workout, are fab for balance and even exercise your calf muscles - as well as muscles you never knew you had in your feet!! These are perfect for winter as well as summer parties as they are ideal for indoor use. All that is needed is a good sized community hall or sports hall and you can race around our racetrack, take our hoverboard skills challenge or do a Justin Bieber hoverboard boogie at our swegway roller disco! Oh and did we mention that all our boards have bluetooth speakers so that you can move to your own favourite tunes?! Helmets and full boarders' pads are provided whilst you learn the technique. 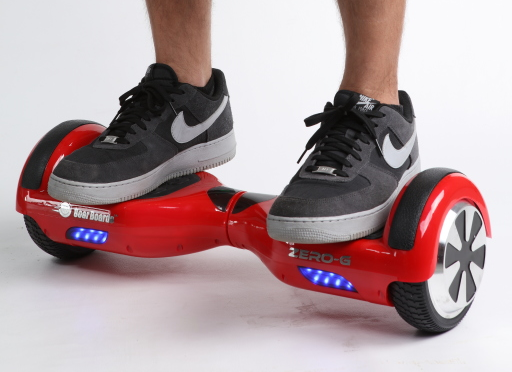 Come and give our hoverboards a try - we guarantee that you'll want one! country fair - even wedding!